Imagine hiding in a locker, listening to shuffling footsteps and the ominous clicking of a boxcutter extending and retracting. Voices are whispering all around and mesh with your intense breathing. You look through the slats of the locker to see a bloody face staring back at you. 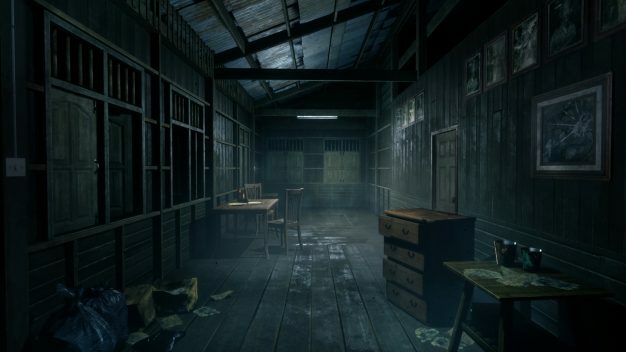 Now, imagine no longer, as this experience becomes more widely available with Yggdrazil Group bringing their Thai myth-themed horror experience Home Sweet Home to consoles for the first time. Yggdrazil Group dropped Home Sweet Home onto Steam a little over a year ago to horrify their audience with traditional Thai ghost stories. An immediately noticeable difference in the move from PC to consoles is that the game’s graphical power and performance took a severe dip. On consoles, the game looks more polygonal and angular, rougher around the edges, and suffers from a dipped frame rate that makes the experience lose some of its fluidity. This is something that is fairly common with smaller devs taking the console leap. Graphics aside, Home Sweet Home is rife with tension. The exploration and puzzles of the game demand that you wander into the unknown, leaving you peeking around every corner trying not to get jumped by something unseen. The atmosphere cultivated in the game is delightfully unsettling and does more than enough to make the player question every movement. 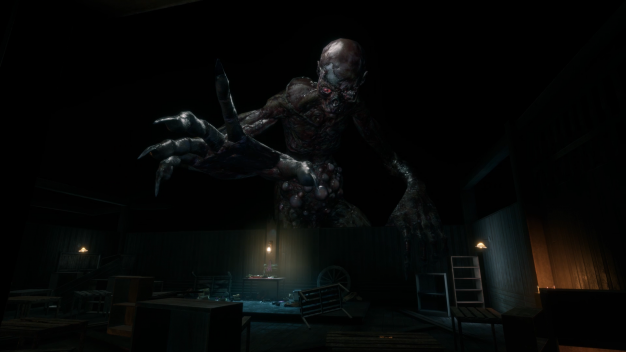 This is Home Sweet Home at its very best, providing genuine tension and scares. Unfortunately, the excellent atmosphere is severely bogged down by lackluster and downright frustrating enemy encounters. 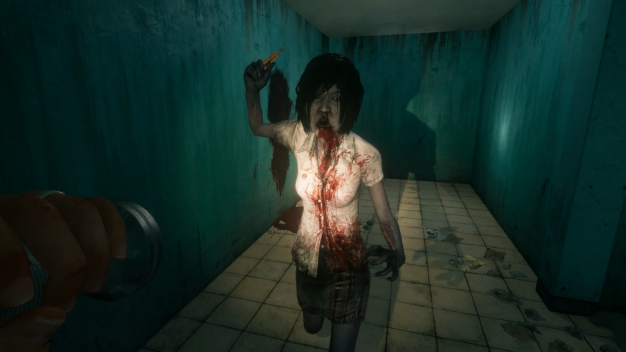 The main antagonist of Home Sweet Home is a bloody ghost of a school girl wielding a box cutter, shambling through the halls and whispering to herself about missing someone. She hunts down the protagonist, Tim, through a school and dorm area, instantly stabbing him to death if he’s caught. These stealth sections are the epitome of monotonous and are relied upon all too much. 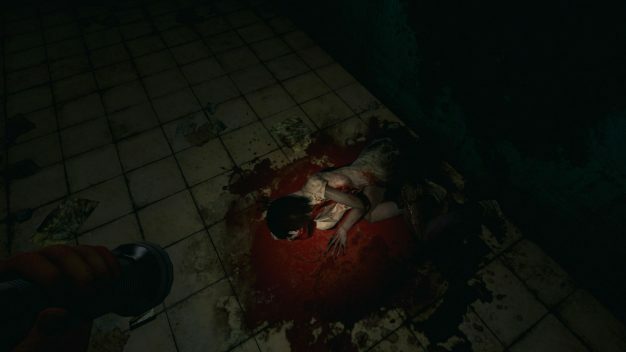 The only way to get around the ghost is to hide in a locker or behind an object and wait for her to shuffle past; this makes up the bulk of the gameplay. At best, these scenarios are boring, bog standard stealth mission tropes. At worst, they are a controller-cracking level of frustrating as the ghost’s walking patterns can flip around with no warning or become broken to a point requiring a save to be reloaded. I encountered this when I was spotted by the ghost and darted to a nearby locker, she looked at the locker then turned around and bumped a table, causing her to turn around and bump the locker. This continued for about five minutes before I realized something was broken. The plot of Home Sweet Home is severely disjointed and can be very hard to follow. This is partly by design and partly because of questionable storytelling. In the game, you play as Tim. He is looking for his wife, Jane, who has been having visions during her sleep and seemingly teleporting to random locations and seeing things that aren’t there. The game uses this plot to try to confuse the player by having them string through multiple areas in a straight line despite them being impossible to connect. A closet in a school dorm leads to your house, then a puddle of blood in your house pulls you into a random shack in the middle of nowhere. Home Sweet Home makes the player search for items and context clues to tell the story, making you really have to work for it to make the game make sense. When Tim is at his own home the story is at its most coherent. It’s about his wife seeing supernatural events and losing her mind until the events are so strong Tim is pulled into them too. This story is understandable, this is a plot I can get behind. However, once Tim starts teleporting to random locations I lose that plot. He’s hunted by a ghost of a schoolgirl, but I wasn’t able to find any relation he or Jane had to the schoolgirl ghost. The ghost had its own story and plot independent of Tim and Jane running around, making them feel like background characters in a different story. The same can be said about the game’s other enemy, a gigantic ghost monster called a Petra. The Petra has its own stories and reasoning for it existing that all occur outside of Tim and Jane who seem to just be walking through its story. It’s worth noting that Home Sweet Home is the first entry in a series, as the game on its own merits seems to tell you less than half of a story and only has a play time of about 2-3 hours. I was shocked, because the final act of the game is the absolute best, most tense and genuinely frightening experiences the game offers and then right at the climax of the act the screen flashes “to be continued in episode 2”. Tons of loose threads left hanging, no questions really answered. Just an abrupt and disappointing ending. However, if episode 2 can match the energy of that final act I will really be looking forward to it.